descent3fischlein.de - Infos für "Streetfighter"
03.04.2010 Streetfighter ++++++++++++++++++++++++++++++++++++++++++++++++++++++++++++++++++ Level Designer (LL)Atan E-Mail :	atan(at)descentforum.de -------------------------------------------------------------------- Editor	: D3Edit V2.1 [AV41] T17 Tools	: GAM-Tool, OOFEditor, D3Image-Tool	Textures	: http://www.cgtextures.com/ -------------------------------------------------------------------- Tester: Realizer, Fischlein -------------------------------------------------------------------- * Level information * Version	: 1.0 Single Player [ROBO]	: No Anarchy	: Yes Hoard : Yes CTF	: Yes Monsterball	: No Entropy	: Yes Known Bugs/nonbugs	: No Inferno : No -------------------------------------------------------------------- Streetfighter is a small 4-6 Player Anarchy level and designed around Street-theme. The core idea is based on my D2 Anarchy level -Star06-. Most custom textures downloaded from cgtextures.com and free. I reworked them and used the D3Imagetool to convert into D3-ogf format. 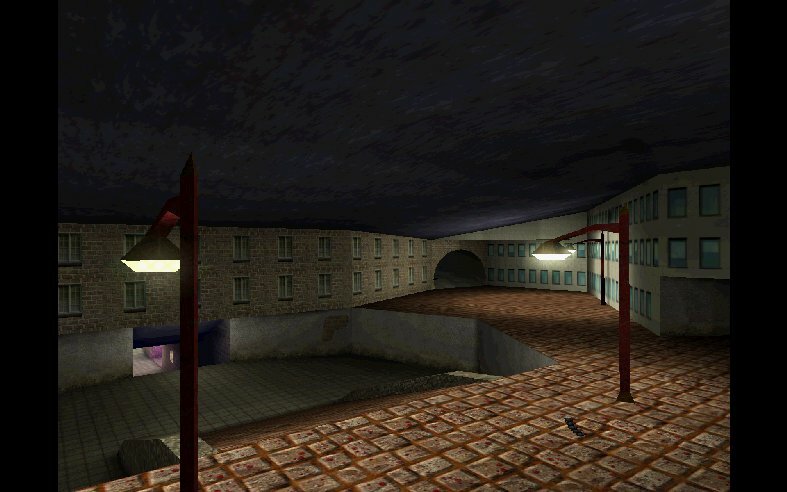 CTF, Hoard and Entropy are supported, but this level is designed for Anarchy. -------------------------------------------------------------------- Playerstarts 10 ImpactMortar 4 NapalmRocket 2 Fusioncannon 4 MassDriver 4 Homing 4 Vauss clip 1 Superlaser 4 Frag 4 Afterburner 4 MassDriverAmmo 1 Vauss 4 QuadLaser 4 -------------------------------------------------------------------- Legal Information: Streetfighter and all it's accompanying file(s) are copyright (c) 2010 (LL)ATAN. Streetfighter may be distributed freely if left in it's original form with all accompanying file(s), including this text file, intact and in it's original .zip file. Streetfighter must /NOT/ be modified without prior written consent from (LL)ATAN.